Lindsay de Feliz was born, raised and educated in the UK, gaining a degree in French and German at Wolverhampton University, and an MBA at Bradford University. She worked as a marketing lecturer and was Marketing Director for various financial service companies. She then decided to follow her dreams and travel the world as a scuba diving instructor, ending up in the Dominican Republic. Arriving in the Dominican Republic only for a six month contract, she ended up staying and married a Dominican, becoming a stepmother to three young boys. She was then shot in her own home during a burglary and following a long fight against corruption along with her husband, left the life of an expat in a tourist resort to live first in a Dominican town and t Lindsay de Feliz was born, raised and educated in the UK, gaining a degree in French and German at Wolverhampton University, and an MBA at Bradford University. She worked as a marketing lecturer and was Marketing Director for various financial service companies. She then decided to follow her dreams and travel the world as a scuba diving instructor, ending up in the Dominican Republic. Lindsay published the highly successful memoir, What About Your Saucepans? in 2013 about the first 10 years of her life in the Dominican Republic and now lives high up in the Dominican mountains, on a small farm, along with her husband Danilo, three dogs, two cats, one permanent and one temporary foster child and too many chickens to count. 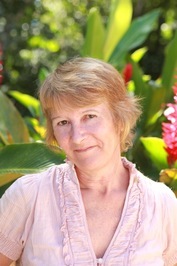 She works as a writer, translator and marketing consultant. To ask Lindsay De Feliz questions, please sign up. Lindsay De Feliz I moved to the DR in 2001 Janet. So pleased you are enjoying the book and hope you are having a great holiday. If you are reading the first book -…moreI moved to the DR in 2001 Janet. So pleased you are enjoying the book and hope you are having a great holiday. If you are reading the first book - What About Your Saucepans? you will also enjoy the follow up - Life After My Saucepans. So here is the update on my current condition. I am still numb and a little swollen on the left side of my face, so I can’t smile and I dribble a bit from the left side of my mouth. It feels like you have had an injection from the dentist and I look a bit like a hamster on that side, with his mouth full of sunflower seeds. Lindsay Feliz said: " This book will appeal to all types of people. Lovers of Turkey will enjoy the colourful description of the place and the people; gay men will empathise with the experiences and the feelings expressed; expats will smile and nod their heads sagely at t This book will appeal to all types of people. Lovers of Turkey will enjoy the colourful description of the place and the people; gay men will empathise with the experiences and the feelings expressed; expats will smile and nod their heads sagely at the description of other expats and the description of the highs and lows of expatriate life. Perking the pansies is an easy read, very descriptive, it will make you smile in places and bring a tear to your eyes in others. It is an accurate description of the culture shock experienced by most ex pats, when the dream becomes reality and the hassles and challenges of living overseas in a different culture, with a different language kick in. I enjoyed this book, and it made me, as a fellow expat realise that I was not alone in my experiences and feelings. ...more "
"Loved it! This is the perfect sequel to Lindsay De Feliz's first book. Again, this one is packed with humour, emotion and lots of detail about her life in the Dominican Republic. We’d love your help. Let us know what’s wrong with this preview of Life After My Saucepans by Lindsay De Feliz. This book has everything a great memoir should have (in my opinion). It follows the story of a woman who marries young and tries to fight against the odds to save her marriage. Her second child is born with disabilities and the various medical procedu This book has everything a great memoir should have (in my opinion). It follows the story of a woman who marries young and tries to fight against the odds to save her marriage. Her second child is born with disabilities and the various medical procedures are described in such a way that we can feel and experience the pain and frustration of both the mother and the child. Eventually among the endless struggles to cope with the marriage and the children there is a glimmer of hope as true love enters the equation, but even then, there is a rocky road ahead. Read this book and you will learn about coping with disabled children and will have a new understanding of what is involved. You will experience much pain, and some joy and the author cleverly and very honestly describes her own feelings and reactions to certain situations. However inappropriate some might think her thoughts to be, many can easily be identified with and bring a certain feeling of relief that others have felt the same as we have. We’d love your help. Let us know what’s wrong with this preview of With Angel's Wings by Stephanie A. Collins. Patient Zero covers the experiences of a teenager who is eventually diagnosed with Myasthenia Gravis, a serious illness which I knew nothing about but which affects every part of her life. While I expected to be bored with the myriad of medical proce Patient Zero covers the experiences of a teenager who is eventually diagnosed with Myasthenia Gravis, a serious illness which I knew nothing about but which affects every part of her life. While I expected to be bored with the myriad of medical procedures she had to endure, the opposite was true as they were explained in a layman’s language and the way she writes about them is excellent, making you feel you are actually a fly on the wall and even experiencing the pain with her. You will find yourself wincing in pain and gripping on to the arms of your chairs for some of them, all of the time admiring her strength to get through it. In addition I admired her honesty in describing the times she could take it no more. More than just a diary of her illness, Patient Zero has important messages in terms of education about Myasthenia Gravis and life itself and one woman’s ability to fight to overcome her illness, appreciate what she had and still has in her life, and do the very best she could. We’d love your help. Let us know what’s wrong with this preview of Patient Zero by Margaret Kane. I don’t know exactly what to say about this book, apart from the fact that it is fabulous on every level. It draws you in from the very first page as it is easy to read, exciting, emotional and involving and once you start reading it is impossible to I don’t know exactly what to say about this book, apart from the fact that it is fabulous on every level. It draws you in from the very first page as it is easy to read, exciting, emotional and involving and once you start reading it is impossible to stop. Those who have left their home countries for pastures new and different, as I did, will identify immediately with the author’s discontentment with the familiar and search for something further afield. But the grass is not always greener on the other side and the challenges faced with living in a third world country as opposed to a first world one are beautifully chronicled and truly brought to life. There is a stark honesty as the author describes her feelings and emotions towards her husband and the way of life as she comes to the realization that even though she has what she thought she wanted, life is never that simple. We’d love your help. Let us know what’s wrong with this preview of Rash by Lisa Kusel. I really enjoyed the author’s first book Survival, so I was delighted to read his second one, Arrival. It tells the story of his arrival in the United States and what it was like being an immigrant in the time of the Vietnam War. I loved the comparis I really enjoyed the author’s first book Survival, so I was delighted to read his second one, Arrival. It tells the story of his arrival in the United States and what it was like being an immigrant in the time of the Vietnam War. I loved the comparisons between UK life and USA life at that time, and being an immigrant or expat in the Dominican Republic from the UK, I could relate to the similarities of some of his experiences. The book is well written and the author is obviously highly intelligent, whether from describing chemical experiments in the search for new drugs, or his introspective thinking into the behaviours of those around him and revealing his own personal demons. While I only have an O Level Grade 6 in chemistry (scraped pass), I still found the descriptions of the experiments interesting, recognizing the names of several drugs used today, and found it fascinating to learn about the whole long process to get a drug to market. Almost as powerful as his first book, educational in more ways than one, and very honest and frank Arrival is also emotional and I found myself tearing up at times, which is not something I do often. We’d love your help. Let us know what’s wrong with this preview of Arrival by John Fahey. I enjoyed this book. I thought the email exchanges would be boring but it was the reverse as they showed the development of their relationship not only via internet dating but also when Brad was serving in the military in Afghanistan and it gave a re I enjoyed this book. I thought the email exchanges would be boring but it was the reverse as they showed the development of their relationship not only via internet dating but also when Brad was serving in the military in Afghanistan and it gave a refreshing honesty to be able to be a fly on the wall in what were frank emails. The book covers two main angles, a love story and the life of a military wife. The latter part made me reminisce about my mother who was also a military wife and when we four children were under six my father was sent to Australia for a year. In those days there were no emails so everything was snail mail, giving me a new appreciation for how she coped. We’d love your help. Let us know what’s wrong with this preview of Made Again by Sara Stackpoole. When I read a memoir I want to be educated and to be entertained. This book by Rob Johnson does both in spades. A Kilo of String chronicles the lives of Rob and his wife Penny as they move to Greece and their daily life there with all the challenges When I read a memoir I want to be educated and to be entertained. This book by Rob Johnson does both in spades. A Kilo of String chronicles the lives of Rob and his wife Penny as they move to Greece and their daily life there with all the challenges it presents. Living in the Dominican Republic, I was amazed at the similarities between the two countries in terms of the culture, corruption and slow pace of life. As well as educating me in the Greek language, lifestyle, farming olives and many thing Greek what I loved about this book was the entertainment. I had a fixed grin on my face from the first to the last page, with several chuckles, snorts and guffaws as I was reading it. It is quite simply hilarious and the author writes brilliantly with an excellent dead pan sense of humour as well as a truly warped imagination which makes A Kilo of String a delightful book to read. We’d love your help. Let us know what’s wrong with this preview of A Kilo of String by Rob Johnson.